I know I’ve mentioned my love for this seasons block colour trend a couple of times, and some might think I’m taking it too far with the pink and blue but I actually really like this outfit. The shirt and blazer were bought from a college sale last week to raise money for a business being run by a friend. I think I paid about £6 for both items so as you can imagine I’m totally impressed. I’m getting a good collection of block colour items in my wardrobe now, and I’ll probably be wearing them long after the trend fades. Today I got an email from New Look telling me about their sale. I can’t buy anything for myself, as I’m trying to save some serious pennies, but I did have a little look and fell in love with this this, this and this. 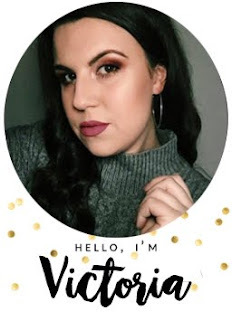 I know it’s not a fashion related post, but hopefully you’ll like them and find something you will spend your pennies on! I’m hoping to get some fashion posts up in the next few weeks; I actually really miss doing them. I have my best friends coming up to stay tomorrow, and I’m so so so excited! We’re going out for birthday cocktails tomorrow night, and then I’m having some more friends over on Thursday night. It’ll be lovely seeing them again as It’s been a good few months since we were last together! I've spent the whole of today giving the apartment a good tidy. Still getting myself sorted with uni work, still very busy, still running out of time. It looks like photobucket has been down for a while, ignore the missing images. Hopefully they'll be back up soon! the blazer is beautiful! and i really like the pink and blue together..its so fresh and summery! I love the pink and blue together, it's so bright and perfect for summer. Have you been for cocktails at Mojo's in Leeds? It's A-MAZING, they do the best fruit cocktails ever, plus it's 2-for-1 on Tuesdays so you can't really go wrong! Your hair is looking so long! Grrrr attack of the jealousy arising! 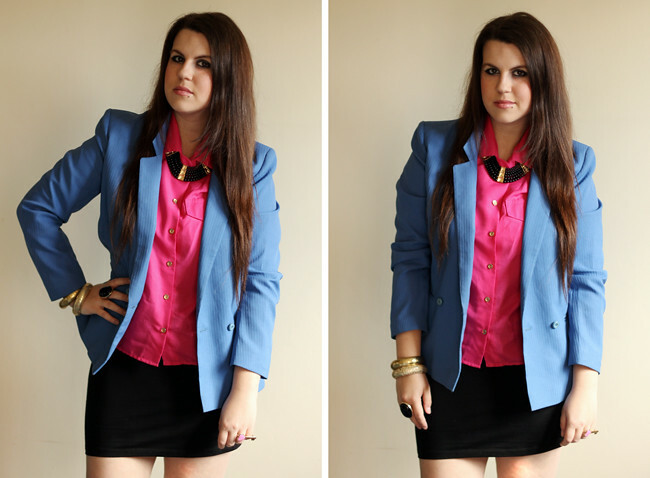 Love the colour of that blazer and i really like the colour blocking with the contrasting pink and blue! P.S - My necklace arrived today, thank you i LOVE it! I really love that blazer, such a bargain! I just adore this whole outfit :) you look really amazing, really 'high fashion'. the colour blocking is great. bAbe ya look gorgeous! colour blocking suits you, I think I need a bitta print in my life tho! xo. This is such a beautiful color combination. You look great! oh i love that blazer, i like how your outfit isn't too out there but still daring and fun.